The RLP has a dismountable D-ring to enable assembly of roundsling, master link or hook directly onto the Lifting Point. The disassembly of the RLP is made easy by just folding the D-ring forward and push down. 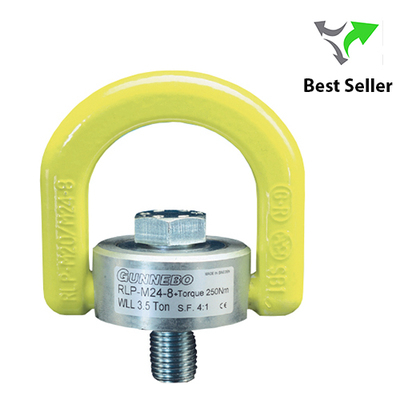 RLP has a hexagon bolt to make it easy to disassemble/assemble with a wrench. 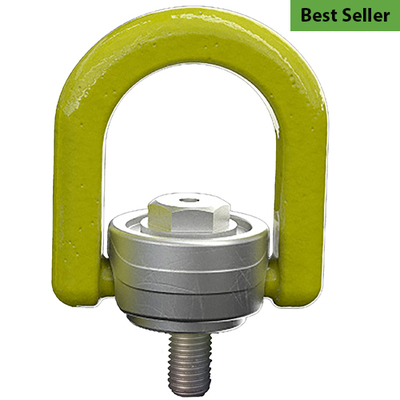 The bolt is also clearly marked with information such as Working Load Limit, mounting torque and manufacturer ID so it's always available to the operator. The RLP rotates 360 degrees and pivots 180 degrees, making it strong, flexible and reliable. As with all Gunnebo Industries products, each RLP sold has been proof loaded to 2.5 times the WLL and visually inspected by a licensed inspector. For more information on the RLP please see downloads available below.